By inserting Muteomatic on a bus it is possible to have an audio path automatically open when the transport is stopped. Ideal if you want a latched talkback mic open between takes but closed during them. Operation couldn’t be simpler. Just instantiate Muteomatic on the path you wish to control and select the action you wish to use. Muteomatic has 3 buttons Stop, Play and Record. The Record button isn’t available in AAX so if you set the play button to Mute and the stop button to Pass Through then the bus will be open during stop. perfect for talkback mic use. Go to the SoundRadix website and download the plug-in. You’ll need to sign up for a free account to do this. Run the installer and you’re good to go. 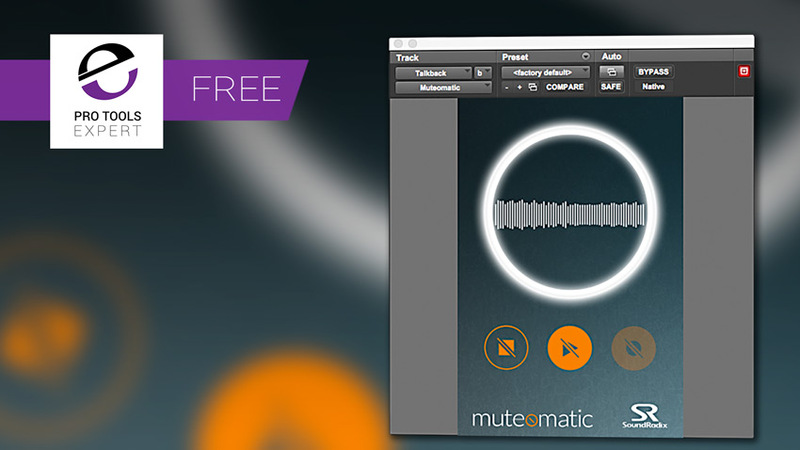 Muteomatic is a free plug-in and no iLok is required to run it.